A bonus is additional compensation paid to an employee. As the job market heats up, the competition among employers to attract and retain good workers is growing. Bonuses may be a way for your company to gain a competitive edge in the job market. This is especially true for small businesses that may not offer the same menu of fringe benefits that large corporations do. When you hear the term “signing bonus” you may think about a sports team. Increasingly, businesses are using the concept to attract the best and brightest. According to the Society for Humans Resource Management, only 31.6 percent of employers offered them in 2002. World at Work in 2011 found that it was up to 54 percent. Typically, signing bonuses aren’t paid in a lump sum but over the course of a year or more to ensure that the person hired works out. These are much less common than signing bonuses. They’re made to keep a key employee with the company during a critical project or at other desperate times. I’m presenting this because they exist. However, there’s been a lot of criticism about retention bonuses; decide for yourself. As the name implies, these are paid as an incentive to employees to achieve a benchmark in performance. These are common for those in sales, but can be used for any type of employee who completes a project on time and within budget. Year-end bonuses are the most common type of bonuses in the workplace. What’s going to be paid this year? It’s too early to tell, but expect that the range will vary by industry in general and by employer in particular. In past years, year-end bonuses may be small tokens of appreciation paid at holiday time (do you recall the Jelly-of-the Month in the movie “Christmas Vacation”?) or meaningful cash payments (e.g., equal to a month’s salary). Some companies delay the year-end bonus until they’ve had an opportunity to close the books and see what they can afford. In a sense, these companies are paying a profit-sharing amount to employees who helped with their success. Suggestion bonuses are for providing ways for the company to do things better, safer or cheaper. Referral bonuses are for suggesting a new employee. The payment is made if the referral is hired. Spot bonuses are out-of-the-blue payments for something special, such as a particularly good job by a worker. They function like a performance bonus, but they’re not announced in advance to serve as an incentive. 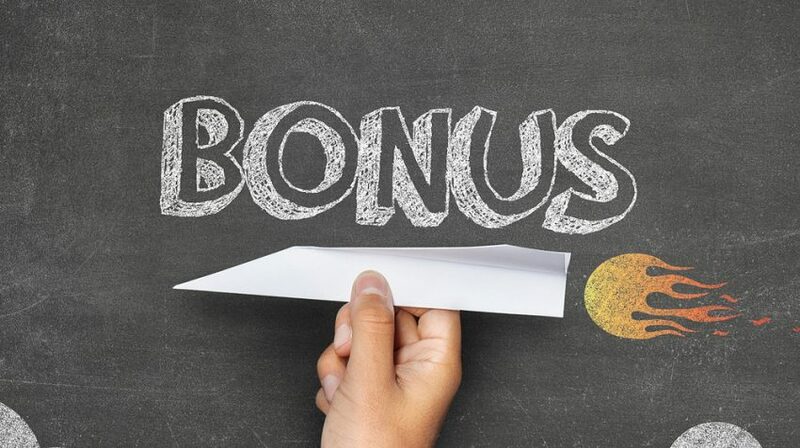 Task/mission bonuses are also like incentive or spot bonuses paid for a job well done, but typically they are awarded to a team rather than a single employee. How much to pay depends on various factors. For example, when it comes to a signing bonus, the factors include what you can afford, the level and talent of the employee, and whether there is a scarcity of talent for the position you’re trying to fill. A rule of thumb for signing bonuses is 5 percent to 10 percent of base pay for professionals and middle managers. Add the bonus to regular compensation and figure withholding in the usual way. It’s good business practice to review your policy on bonuses to make sure you’re staying competitive. Then determine the amount you can pay and who on your staff will receive them. Work with your CPA or other financial advisor to make sure you’re doing the right thing.